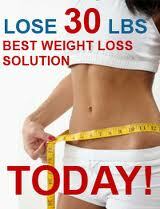 Continue reading How to lose extra pounds? Continue reading Water is life! Continue reading How to get a flat stomach? Continue reading Rapid weight loss: the most dangerous diet! Continue reading You cannot live without sweets? Sweet tooth in a note! Continue reading 5 Fitness Myths - Recognize the facts! Continue reading Lose weight while you sleep (for real)! four very simple methods to boost your current metabolism and also rise-start up fat burning.